What’s included in every real estate update? Every month we’ll pull an interesting stat for you directly from our MLS for Pinellas County. St Petersburg, FL is keeping the strong momentum of growth going as we continue to see new construction in downtown and the building of the 80 million dollar new pier. We’ll jump more into what’s happening in St Pete in a moment, but let’s first take a look at some interesting statistics we’ve discovered. 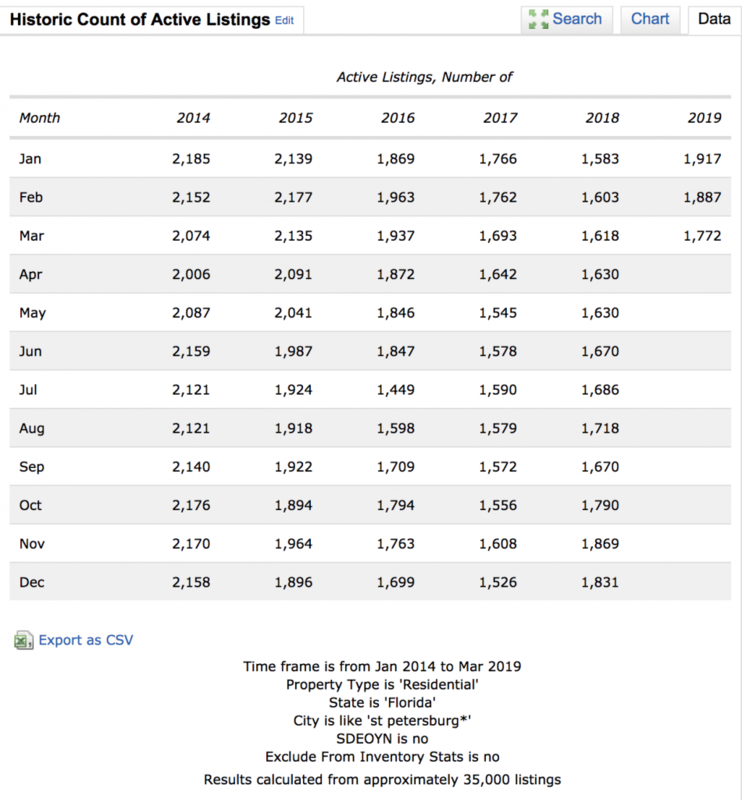 At any given time in the past 5 years, St Petersburg has had anywhere from the low 1400s to the high 2100s in active residential listings on the market in a month. We often look at inventory as a way to assess the health of a market much like a doctor assesses the numbers from your blood pressure. The good news is over the past few years there have not been any radical shifts in inventory looking at the last statistics in March. 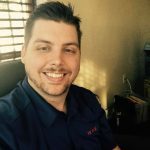 Inventory is up compared to the last 2 years which could give a slight advantage to buyers with their choices. There’s another statistic we would like to share with you below. 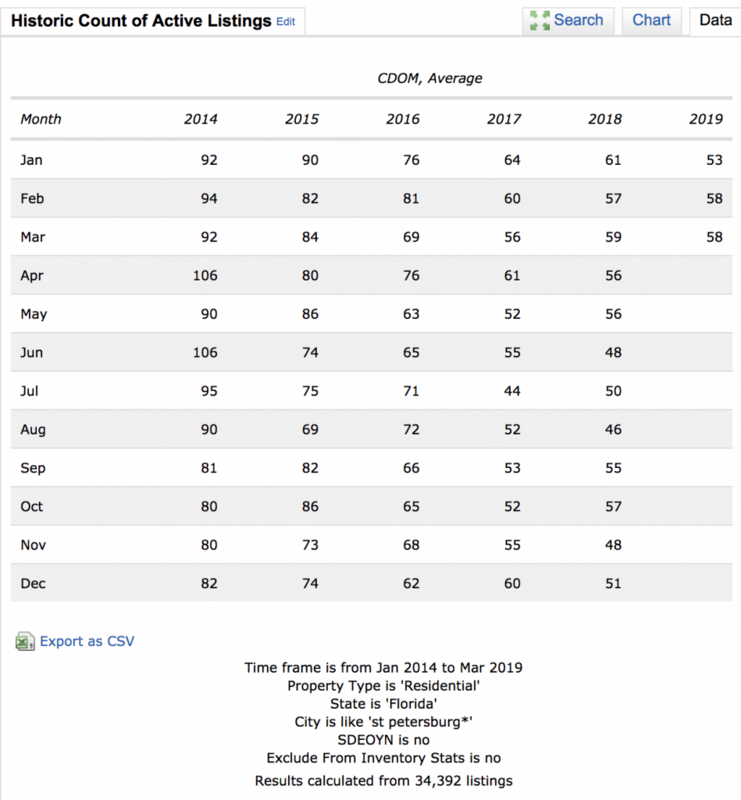 The numbers above represent the cumulative average days a home is on the market in St Pete. As you can see there’s not a lot of change between 2017-2019, but you’ll notice major jumps compared to 2014-2016. Less days on the market means there’s less time for buyers to act and it could reflect an increased market of buyers. 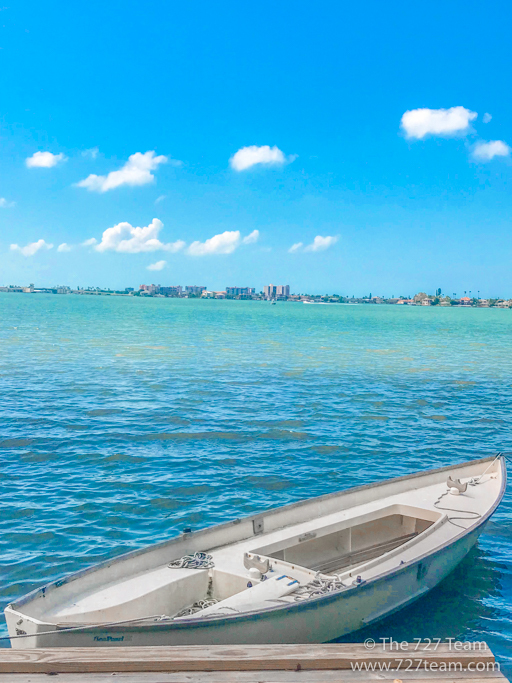 In previous updates we’ve discussed a wave of people that are leaving other states as St Pete and other Pinellas cities pop up as great places to live. Thriving coastal cities normally get more expensive over time as the demand for land outweighs the supply. If you look at a city like Miami, you’ll see how packed they made the skyline and how pricey it can get based on your view and proximity to water. While St Pete is expanding, it can be argued that St Pete will not be a Miami and there is an active effort to stay true to the values that made St Pete popular in the first place. Those values include supporting local small businesses, walkability, nature, and history to name a few. I was having a discussion with Chris the other day about the increased rental rates for small businesses in St Pete. Although St Pete caters to limiting chain businesses, part of the appeal and footprint of St Pete is the vast majority of businesses are small storefronts. Because developers are recognizing the surge in interest in St Pete, some have increased their rental rates quite rapidly. On the one hand it’s causing very creative businesses that can’t afford the new rents to set up shop in the Edge District, Warehouse District and Grand Central. These areas have popped up a lot lately including in the Boston Globe. This may be creating two very different experiences for the St Petersburg resident. On the one hand, more expensive storefronts located near and around Beach Drive can offer a high class experience for a price. Where areas like we mentioned above have become more hospitable to businesses owners that want affordable rents and a place to be artsy and think outside the box. The new pier has been highly anticipated since the tear down of the old one. As we said goodbye to our inverted pyramid pier, the St Pete waterfront felt empty. The new pier is expected to be completed in 2019 which will create a new and improved location for music, small businesses, and other events. If you think about cities that have defining structures like The Seattle Space Needle, New York’s Statue Of Liberty, and the Gateway Arch in St Louis, they can spark an increased interest in what a city has to offer. As time goes on, we are excited to watch the growth of St Pete and see how it becomes a better area over time for residents and tourists alike. 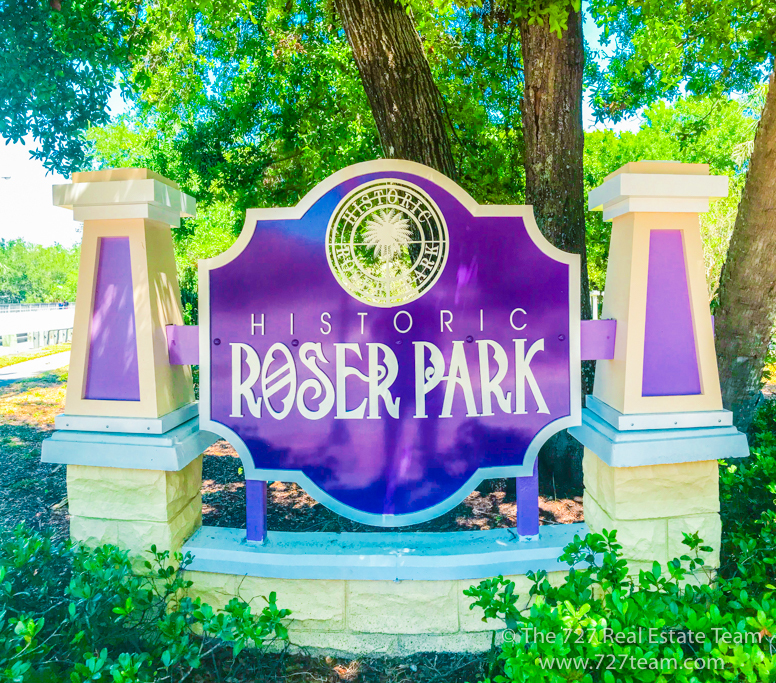 Top Reasons To Move To Roser Park – If you love history and charm, you’ll want to check out the historic neighborhood of Roser Park. This article dives into why Roser Park might be your next home. Best Of Brewing – Cage Brewing – St Pete is filled with breweries that offer entertainment, music, and more! Check out this article we wrote on Cage Brewing if you are looking for places to explore. Here are some news stories you may enjoy! St Pete Pier Milestones – If you want to learn more about the development of the St Pete pier, check out this great update! Historic McCrory Building Purchased – Investors are seeing the growth in St Pete and buying up developments. Check out this article one of St Pete’s historic buildings. Do you want to receive the newsletter as soon as it’s published on the website? Sign up below by clicking the image or filling out the form below!